The University of Vienna and the Austrian Arbitration Association (Arb|Aut) cordially invite you to the fifth Bergsten Lecture which takes place annually in the week of the Vis Arbitration Moot Court finals. The Lecture is held in honour of Professor Eric Bergsten, the "father" of the Vis Arbitration Moot Court who had organized this event for more than 20 years. Admissibility of Improperly Obtained Evidence in International Arbitration. The Lecture will be followed by a panel discussion chaired by Professor Paul Oberhammer (Faculty of Law, University of Vienna) with Florian Kremslehner (Dorda, Vienna) and Professor Stefan Kröll (Director Vis-Moot) as panel speakers. Wiedner Hauptstraße 63, 1040 Vienna, Austria. After the lecture, Arb|Aut hosts a cocktail reception for participants of the Lecture, Arb|Aut members and Vis Arbitrators in AFEC’s Sky Lounge. Online-registrations for the lecture as well as the cocktail reception are available at www.arbitration-austria.at. Due to the size of the venue, admittance will be limited and will be allocated on a first come first serve basis. 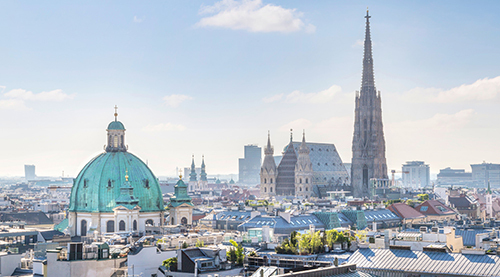 The anniversary celebration of the Vienna Arbitration Days proved to be a great success: Almost 250 international arbitration practitioners from 34 countries joined us for two days of lively discussions on the topic “Repositioning Arbitration”. As indicated, a selection of photos of the conference has been made available online on Arb|Aut’s website. Next year’s Vienna Arbitration Days will be held 19-20 January 2018. Mark your calendars! We hope to see many of you at our next events!